Cabernet Sauvignon, called the ‘King of the Reds’, is the most widely planted grape variety worldwide. Interestingly, it is also one of the newest grape varieties. The world has a spontaneous crossing of Cabernet Franc and Sauvignon Blanc in Bordeaux during the 1600’s to thank for the creation of this premium varietal. 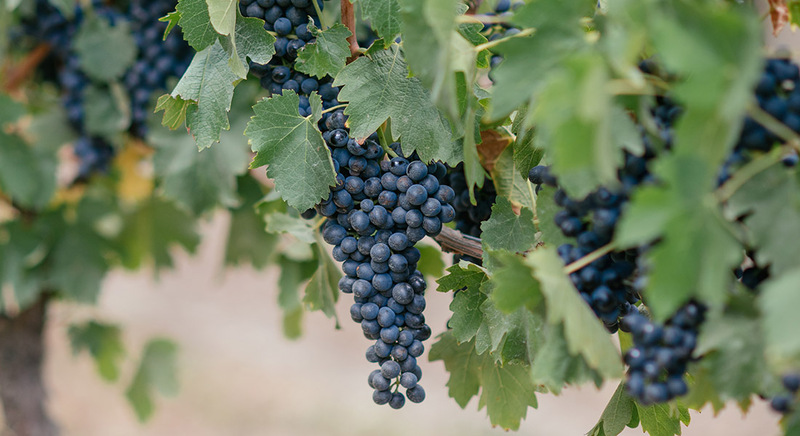 Cabernet Sauvignon is noted for its hardiness, ease of cultivation and resistance to pests and disease. The Yarra Valley wine region has a rich history with Cabernet Sauvignon. In fact, when Paul de Castella purchased the land which is now Yering Station in the early 19th century, Cabernet Sauvignon vines from Bordeaux were what he imported and vinified. De Castella’s use of Cabernet in Australia earned him a trophy at the 1889 Paris Wine Exhibition. Cabernet itself is a very expressive grape, and can be grown in a wide variety of climates. The Yarra Valley, with its generally cool climate, allows the production of elegant, rich styles of the varietal. A herbaceous character, often described as a green or red capsicum, has become synonymous with Yarra Valley Cabernet Sauvignon. The cool climate of the region allows the retention of natural acidity in the grapes, which produces wines of tremendous length and cellaring potential, with some Yarra Cabernet easily able to sit quietly in a cellar for 30+ years. At Soumah, our Cabernet vines are among the oldest in our vineyard, and produce wines of deep concentration, elegance and varietal expression. On your visit to cellar door you may have heard us affectionately refer to our Cabernet as ‘Ribena for adults’, a nickname the wine has earned due to its intense, ripe blackcurrant character (although our Cabernet contains a lot less sugar than Ribena – that makes it healthier right?). We are very exciting to announce the release of our brand new 2016 Single Vineyard Cabernet Sauvignon. The 2016 vintage was our earliest vintage on record due to consistent hot weather throughout the growing season. This was the perfect year to construct our first Cabernet in our Single vineyard range, and we couldn’t be more pleased with the finished product. With an 18-month maturation period in 40% new French oak, this wine has power, silky tannins and great length. This is a wine for the cellar, and it will build complexity and depth up to 20 years from vintage (if patience allows). Become a part of Membership d’Soumah and save up to 25% off.